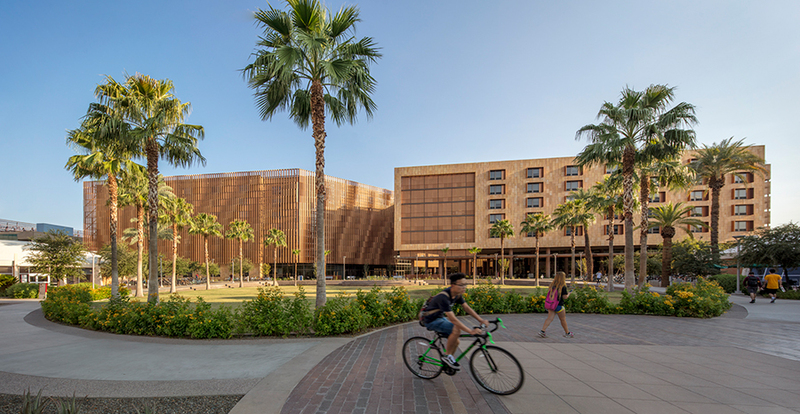 Arizona’s New Engineering School is More Than Just a Building – It’s a Teaching Tool for Eco-Friendly Design. When the Arizona State University commissioned the building of a new dormitory house for freshman engineering students, they didn’t just envisage a sustainable design. The University envisaged a real-time showcase of sustainable design in motion which would evolve into a teaching tool in its own right. 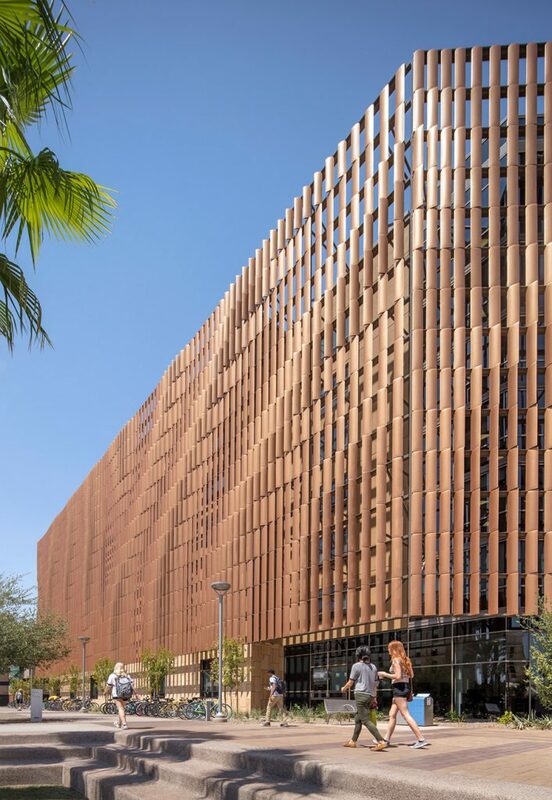 Located in the brutal desert climate of Tempe in Arizona, the construction of the new Tooker House building was naturally developed on crucial core principles of eco-friendly design with strong ventilation and shading for the wellbeing of the sweltering students. But the idea was also to visually demonstrate these principles in action on an everyday basis for the benefit of the bright engineering minds studying at the University. It was a pretty epic project for Chicago and San Francisco-based architects Solomon Cordwell Buenz (SCB) to undertake. The 458,000 square-foot building needed to serve as a residence and learning facility for nearly 1,600 students with dedicated study and social lounges, flexible digital classrooms, a huge Maker Lab, 525-seat dining hall, convenience store, and five staff apartments. The SCB team hatched an ambitious plan to optimize sustainability in the siting, massing and system of the structure, and then visibly express the engineering and sustainable design. The seven-storey structure of Tooker House has a figure-eight-shaped plan, broken down into three smaller volumes connected by pedestrian bridges and two self-shaded interior courtyards. The outdoor areas promote heat-alleviation techniques, with the massing naturally capturing the westerly wind for enhanced ventilation, and the absorbent surfaces enabling stormwater infiltration to reduce potential heat gain. Further natural airflow is encouraged via the perforated metal panels on the bridges and breezeways of Tooker House which also allow for stunning broad views of the campus. Rainwater is harvested from the roof, nourishing specific landscape zones in bioswales and reducing the levels of underground piping. The harvesting process is visually expressed in the interior courtyard, delivering a deeper understanding of the systems via compelling design. Students can also see the many MEP systems through glazed walls, with the HVAC ‘nuts and bolts’ exposed, allowing for a real-time demonstration of the engineering work at the heart of the structure. Meanwhile, the crucial Maker Lab is prominently located on the ground floor, giving students the freedom to cook up creative new projects at any time of day (or even night) without ever having to leave the campus. Sliding glass walls provide easy expansion for projects that need to spill outdoors, where students can also present their work on exhibition pedestals. 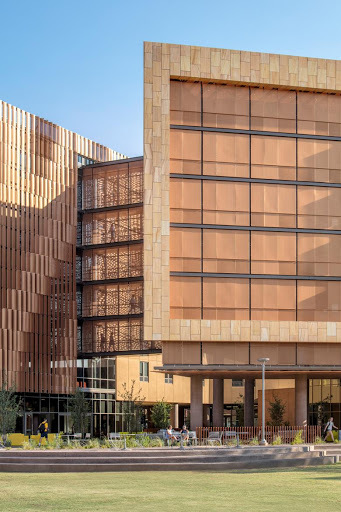 Finally, perhaps the most visually striking element of the Arizona State University’s new building is the south facade’s shading systems, depicted in natural earth tones to reflect the desert location. A colossal cluster of perforated aluminium louvers is arranged in a pattern generated with the help of Grasshopper and Ladybug software. 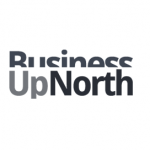 The intention is to reduce solar gain without making compromises on transparency or style. As the sun slowly moves throughout the day, the shadows from its shifting positions animate the structure and illustrate the textures of the surrounding landscape, delivering a beautiful daily masterclass in sustainable architecture. Tooker House clearly isn’t just a stunning residence for engineering students or a paragon of eco-friendly desert design. It’s a building designed to educate and inspire the brilliant engineers of the future.